IN A bid to monetise its assets, debt-ridden Air India has put up 71 of its properties for auction. Spread over 16 locations, these include 30 in Mumbai, a holiday home in Lonavala and various commercial and residential properties in Nashik and Pune. The Mumbai properties alone are expected to raise Rs 249 crore through a sale scheduled on December 4.
the state-run MSTC e-commerce website, the Mumbai properties on the block include 14 executive flats and plots at Pali Hill in Bandra West, nine 2BHK flats in Aquarius Taurus building in Malad, two 3BHK flats in Mahim, one in Venus Apartments at Cuffe Parade, two 2BHK flats and storerooms in Khar, among others. The reserve price for the 14 executive flats in Pali Hill has been pegged at Rs 200 crore, while the others will potentially fetch at least Rs 49.87 crore. Additionally, the holiday home in Lonavala has been priced at Rs 6 crore, and over Rs 25 crore worth six CIDCO 2BHK flats in Nashik and some commercial units in Pune are also under the hammer. Assets in Amritsar, Agartala, Bhuj, Bengaluru, Chennai, Delhi, Gwalior, Hyderabad, Manipur, Hyderabad, Mangalore, Thiruvananthapuram are also scheduled to be sold soon. These include eight flats in Asian Games Village complex in New Delhi with a reserve price of 58.43 crore and Rs 68 crore worth two land parcels in Central Training Establishment in Ferozegude in Hyderabad. 11 properties each in Bengaluru and Kolkata are also on the list. Though Air India has been desperately trying to generate cash for its operations, the properties have not managed to bring in the expected prices. On November 1, the national carrier had hoped to earn Rs 200 crore from 44 properties but managed to sell only 14 for Rs 58 crore, sources told Mirror. The flats in Malad and properties in Bengaluru were part of the November 1 auction. In September too, it had put up 41properties on the auction block but sold only 17 at Rs 15 crore against its expectation of Rs 400 crore, sources added. The asset monetization was part of the Air India financial restructuring plan approved by the Cabinet Committee on Economic Affairs (CCEA) in 2012. As per this, Air India is expected to raise Rs 5,000 crore over a period of 10 years with an annual target of Rs 500 crore. Earlier in August this year, Civil Aviation Minister Suresh Prabhu had said that the national carrier has "unsustainable debt" and legacy issues need to be dealt with. 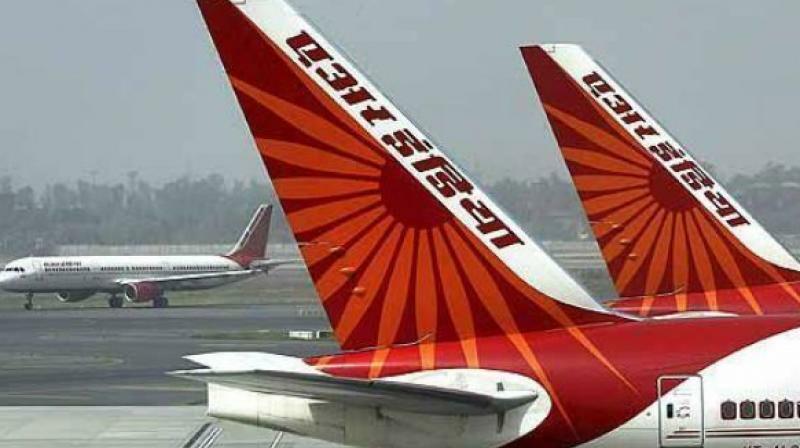 Loss-making Air India is estimated to have a debt burden of more than Rs 48,000 crore and the government's efforts for strategic disinvestment failed in May this year. Air India is very clearly a legacy issue. Air India's debt is unsustainable. Forget Air India, nobody can handle that debt. For any airline to service that debt is not possible," Prabhu told. The best way is to look at how to deal with the legacy issue, he added. Air India has been making losses since the merger with Indian Airlines in 2007. As per its audited accounts, the airline's accumulative losses stood at Rs 47,145.62 crore in financial year 2016-17. High interest burden, increase in competition, high airport user charges, adverse impact of exchange rate variation and liberalised bilaterals to foreign carriers leading to excess capacity in the market are among the major reasons for the losses, according to the Civil Aviation Ministry. A revival strategy is now being worked out as the government aims to make the airline "competitive" before making a fresh push for disinvestment of the airline.